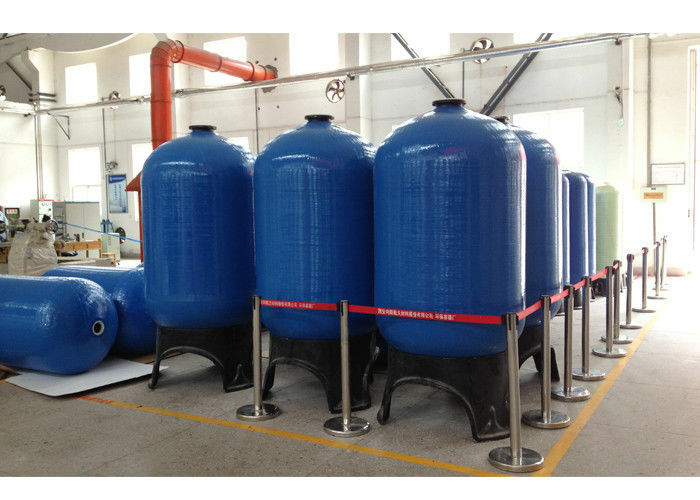 Top open 2.5" NPSM FRP pressure softener tanks for reverse osmosis water treatment 1.0Mpa Dia. 6" to 13"
FRP pressure filter tanks are made of high performance composite materials: FRP liner and FRP filament winding outer shell. Our design provides a continuous seamless inner liner shell with a GF PP inlet for higher strength, temperature and pressure capabilities. High quality PE liner with FRP filament winding. on your application and space requirements. Product are NSF certified.